Posted November 22, 2017 by Angee & filed under News. 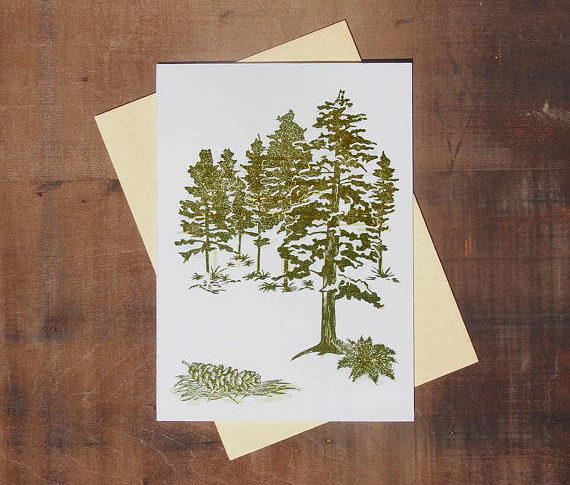 Inspired by White Pines Forest State Park in Ogle County, Illinois, the White Pines Greeting Card features the southern-most stand of native white pines towering up to an impressive 90 feet tall. Fill the card with your sentiments and send off with USPS. What a special occasion and a surprise treat to receive a literal work of art via snail mail. 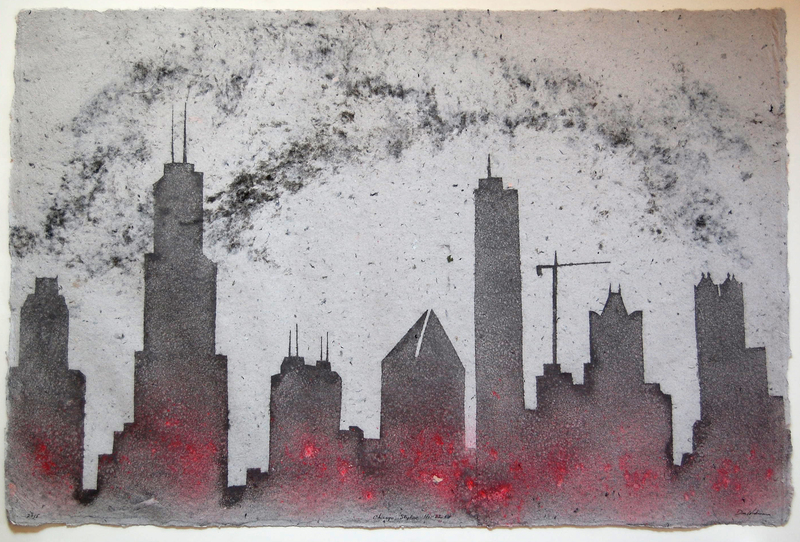 This series of skyline is “painted” completely with pigmented cotton pulp on top of a base sheet made from abaca and may be perfect for that person in your life with deep Chicago pride. The process used to create this one-of-a-kind work of art references the blood, sweat, and tears that built the city itself. For the uber-contemporary loved one with eclectic tastes. The fifth and most conceptually broad iteration of Ten x Ten, ‘Ten x Ten 2017: Dual Practices’ brought together 10 notable Chicago artists who have robust practices in both visual art and music. 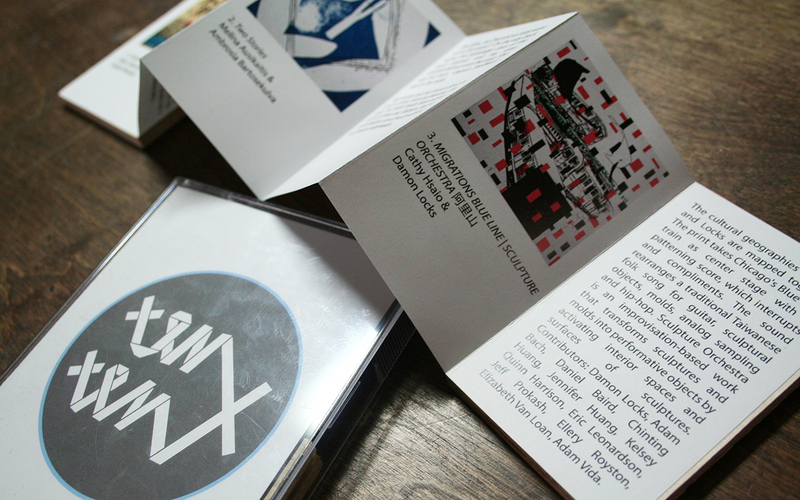 The cassette features sonic works by each Ten x Ten artist pairing as well as a fold out booklet with their coinciding prints and descriptions of their works. This cassette/art combo is an engaging work of art & music, as well as a keepsake. We don’t have to tell you who this shirt is for – they probably popped in your mind immediately. We will tell you that it’s a high quality soft style tee by Bella + Canvas. Unisex sizing. Do good bonus!! 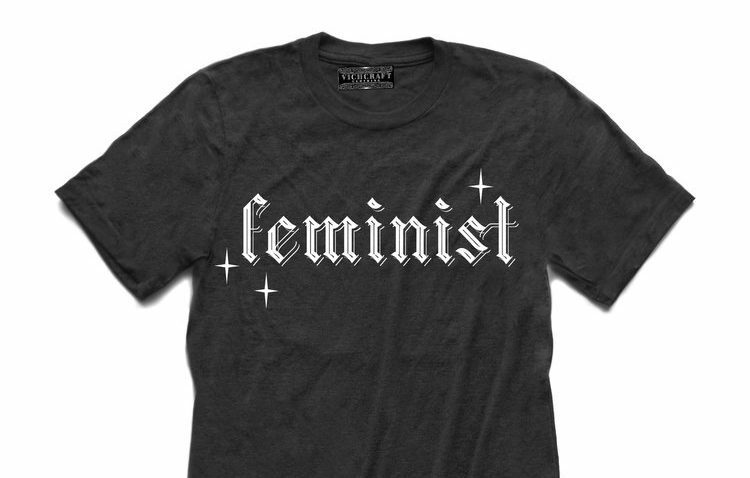 Ten dollars for each shirt sold will go to Chicago Women’s Health Center, an organization that facilitates the empowerment of women and trans individuals by providing sliding scale access to health care and health education in a respectful environment. The crowned fowl of Andrew Ghrist are a regal, yet humble variety. The qualities of these creatures are the very reason Spudnik collaborated with Andrew to develop an iconic mascot for our press and 10 year anniversary. 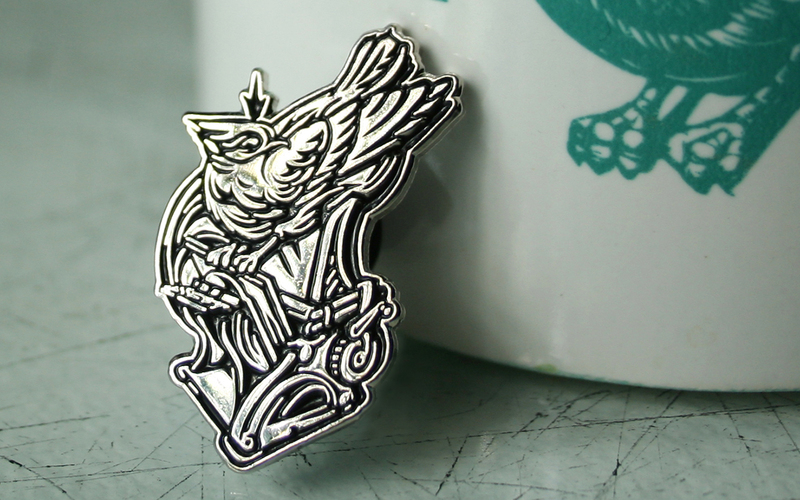 Steadfastly perched on a pilot press, this enamel pin speaks to printers and lovers of print with respect to the tradition and process we hold so dear. Plus, pins are cool. Who doesn’t love pins? 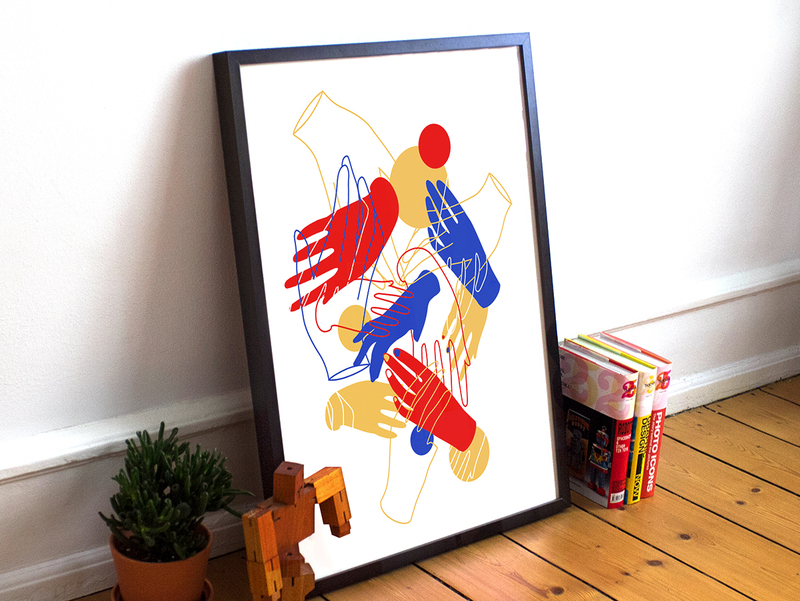 This screen printed work reflects a contemporary pop style and a coming together of hands. Filled and outlined, it could be a union of our vibrant inner passion and the structure of our interaction. Or it could be a beautiful modern expression, period. This three color print (including metallic gold – oh yes!) is a sure win for the poster collector in your life. Frame not included. Each month, we release a new letterpress print on archival 100% cotton paper designed by a member of Spudnik Press Cooperative. Each print fits into an affordable 8”x10” frame. Grab the full portfolio so you can keep you favorites plus have gifts for all your friends. The full portfolio even includes two matching coasters for each artwork! Or buy individual prints a la carte. 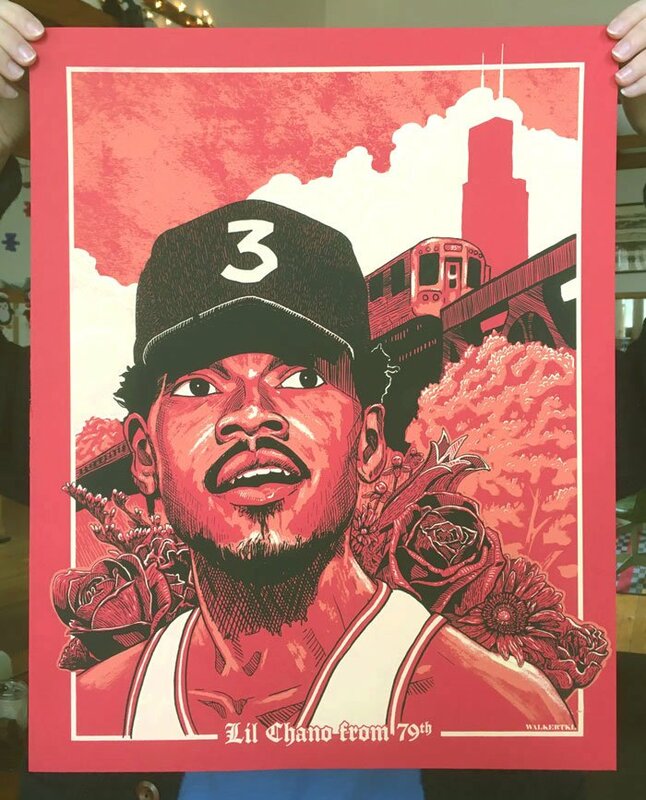 This limited edition screen print featuring Chance the Rapper is a must have for any screen print lover or poster collector – especially if they rep Chicago. If you are reading this, you probably know one. WalkerTKL is on a steady path upwards, so this gift/investment may very well keep on giving. For your printmaking loved ones, studio space and time can be the biggest challenges when it comes to producing work. For your friends who like to try new things, different activities and experiences can challenging to come across if you don’t know where to look. For you, because you used to print, got busy and want to get back into it. 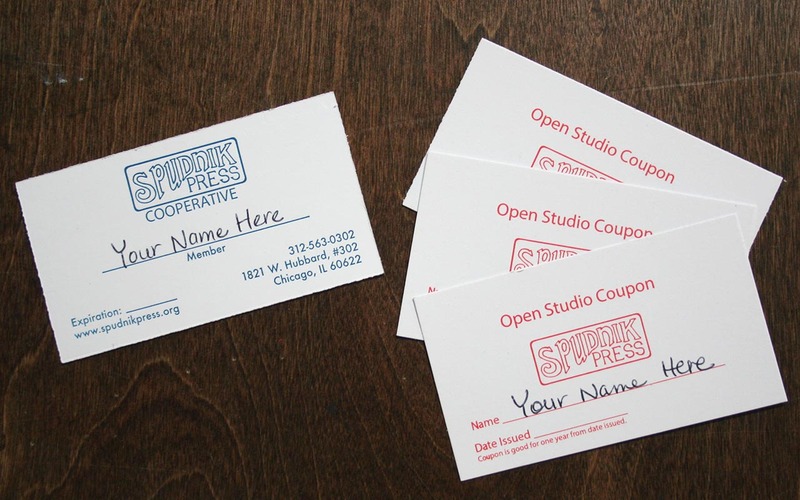 This combined one-year Studio Membership with three Open Studio coupons (covering both base and material fees) jumpstarts presence and creativity. 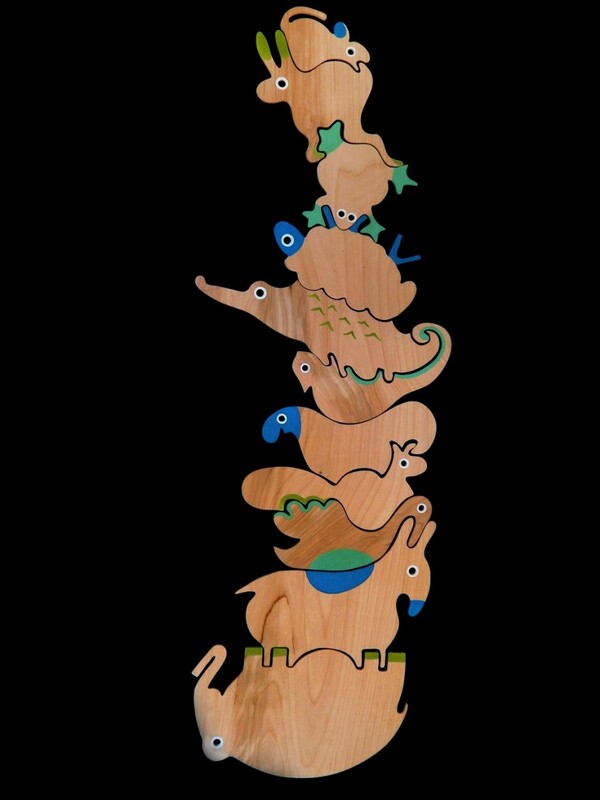 How absolutely exquisite and a total steal for art and animal lovers alike! 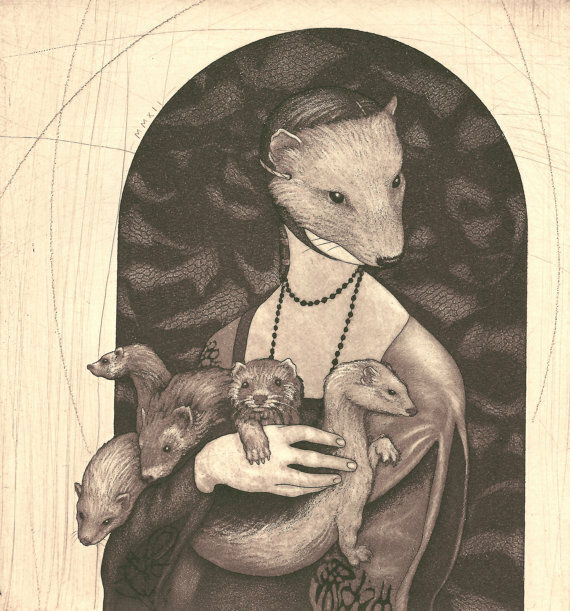 This original etching is inspired by da Vinci’s “Lady with an Ermine.” All imagery is rendered by hand, incorporating traditional intaglio techniques of hard-ground and soft-ground etching, aquatint, drypoint, and lots of scraping and burnishing. Printed in oil-based etching inks on ivory Fabriano Rosaspina paper, this work was hand-pulled from a single copper plate using a Conrad etching press. Spudnik Members: It’s not too late to join our 2018 Exhibitions Committee! Posted November 1, 2017 by Angee & filed under Calls for Artists. The Spudnik Press Exhibitions Committee provides a platform for members to take the lead in the curatorial process for our exhibitions. It acts as a steering committee for exhibition-related opportunities, assists with all areas of exhibition development, and helps promote gallery events. The goal of the Committee is to organize and help select exhibitions that amplify the impact of resources at Spudnik Press by providing opportunities for artists and audiences to move through a variety of creative roles: from making to experiencing, from learning to teaching. The Committee is fully supported by Spudnik Press staff who lead meetings, manage all exhibitions, oversee budgets, and assist with other areas as needed. The Exhibitions Committee is responsible for reviewing and selecting proposals for solo exhibitions, group shows and/or curated shows. It also contributes to the development of additional programs offered in conjunction with each show, such as artist talks and workshops. Committee members are asked to help out with various stages of each exhibition, including installation, photography, and gallery events. By joining the Spudnik Press Exhibitions Committee, members are committing to a one-year position with the option to renew each calendar year, in addition to the requirements listed below. Must maintain a current membership at Spudnik Press Cooperative throughout 2018. Must be able to commit to attending all quarterly Exhibitions Committee Meetings. Must commit for 6-8 hours in the production of 1-2 exhibitions. Members can select volunteer activities that best suit their skills, interests and availability. Email marcela@spudnikpress.org with the subject line “Exhibitions Committee” by January 3, 2018. Please include your name, phone number, and a statement of interest explaining why you would like to be a member of the Exhibitions Committee and what you hope to gain from this experience (500 words maximum). The exhibition committee is first come, first serve. If response exceeds our capacity, a waitlist will be formed. *Image: Cassie Tompkins Exhibition, Opening Reception August 11, 2017. The Spudnik Press Exhibitions Program invites exhibition proposals from artists and curators. This is our annual opportunity for individuals or collaborators to submit unsolicited proposals for solo or small group exhibitions. Proposals may be for existing or new work. Membership at Spudnik Press is not required to submit proposals. Exhibitions are selected by a committee of Spudnik Press members using the curatorial statement (below) as a guidepost for all curatorial decisions. Strong proposals will resonate with the curatorial priorities of Spudnik Press Cooperative. While exhibitions may feature artwork in any media, 2-D or wall-mounted artwork is typically best suited for the gallery, which functions as a multi-purpose space. We welcome proposals from beyond Chicago, however, applicants should be aware that there is a very limited budget per exhibition and may be responsible for much of the shipping costs and travel to and from Chicago. Showcase the creative, analytical or technical process of art making. Exhibitions will occur between early Spring 2018 and February 28, 2019. Exhibitions typically run between 5 and 8 weeks. Resume or CV: No longer than two pages. Please only submit a resume for the curator, solo artist or main contact for group shows, not each individual artist. For solo exhibitions, include up to 10 images of work that will be included in the exhibition. Group exhibition proposals may include up to 3 images per artist. Sketches may be included for forthcoming work. Please include an image list. Images need not exceed 1 MB each. Work samples files should be titled LASTNAME_01.jpg, LASTNAME_02.jpg, etc. Please direct any questions to marcela@spudnikpress.org. Image: Installation view of “I Will Love You Forever/Hans + Eva Rausing” Exhibition, featuring work by Jacob Saunders. Posted October 15, 2017 by Angee & filed under News. On Saturday, October 7, the Chicago art community came together in celebration of our 10th Anniversary. Through a mix of ticket sales, auction bids, and donations, supporters contributed over $19,000 to the 10th Anniversary Campaign. Since launching the campaign in June, we have been able to raise $28,456. We are now 44% towards our goal of $65,000. This year-long fundraising effort is essential for Spudnik Press to establish a Reserve Fund and ensure that the organization remains a resilient resource for years to come. Additionally, funds will support the expansion and improvement of professional-track programs including the Fellowship and Residency. Unique in our dedication to printmaking and related traditions, Spudnik Press offers professional facilities and rare equipment. We are committed to not only collecting necessary equipment, but also maintaining a studio that is inviting and utilized by as many people as possible. Without a communal space with well-maintained equipment, trained staff and approachable programs, printmaking is out of reach for most. In 2016 we served 3,263 people. 587 people enrolled in 84 classes and workshops. Each year, over 750 Open Studio visits are logged and over 30 artists utilize our 24-hour access Keyholder program. All of this would not be possible with out broad community support. Become a member of our Giving Circle with a $250+ donation. Add a $1 donation at Open Studio sessions. Our goal is ambitious, but attainable. 2017 has been our busiest years yet with an increase in youth field trips, new partnerships and projects with the Block Museum and the Broad Museum at MSU, the acquisition of a new letterpress and risograph machine, new staff and new board members, and more. As we make plans for 2018, we hope to continue offering a robust calendar of programs for any and all who wish to be creative through print. Support our 10th Anniversary Campaign. Donate Today. Posted September 1, 2017 by Angee & filed under Calls for Artists. Spudnik Press, in collaboration with the 2017 Spudnik Press Exhibition Committee, is excited to announce its next print exchange and exhibition, Chicago: A Cross-Town Exchange. Over the years, printmakers have played an active role in the Chicago community, taking on roles as publishers, distributors and organizers. However, as use of automation and digital technology changed the face of commercial printing, a new group of Chicago printers emerged. Independent, artist-run shops, including Landfall Press and Plucked Chicken Press were among the first to open in the 1970s. Today, numerous print shops have sprouted across the city and continue to engage the community through organizing and education. Chicago: A Cross-Town Exchange seeks to invite discussion and collaboration among the diverse and exciting body of printers living and working across Chicago. All interested printmakers must live/work in Chicago. Artists affiliated with a local printmaking studio or organization(s) are strongly encouraged to apply, including Spudnik Press students. The portfolio culminates in an exhibition at Spudnik Press Cooperative’s Annex Gallery, 1821 W. Hubbard St., Suite 302, Chicago, IL 60622. Each participant will receive a portfolio with 20 randomly collated prints from the exchange in a protective case. Medium: Fine art prints. No digital prints please. *Fee covers the cost of the colophon, glassine, and portfolio case. 2. Please complete and submit the registration form. 3. Submit payment with registrations form. 4. Make sure to drop off work by December 15, 2017 deadline. At the time of drop off, portfolio participants will be checked against a list for pre-registration. Editions will be checked for compliance with the portfolio guidelines and participant will need to complete a submission form listing title, media, etc. Questions? Email marcela@spudnikpress.org. Posted August 31, 2017 by Angee & filed under Calls for Artists. Spudnik Press Cooperative is accepting applications for our Fellowship Program, our flagship opportunity for emerging artists to gain access unrestricted access to our studios. This is a seven-month program that provides support for young artists through full studio access and professional development opportunities. Fellows will acquire leadership skills and Studio Assistance experience through monitoring a weekly open studio session. Fellows will also work closely with each other and staff to develop and lead Community Workshops at Spudnik Press. In addition to monitoring one Open Studio session per week, Fellows will also take on leadership roles at special events, member meetings, and outreach efforts. Fellows will meet regularly to share artwork and support each others projects. The program creates accountability for the cohort of four fellows as they set personal goals, create healthy studio habits, and develop their portfolio. This program is geared towards recent graduates and other artists in a similar transitional period. Four positions are available per term. Return all materials to marcela@spudnikpress.org by Sunday, October 8, 2017. Fellowship Orientation & Training: November 2017. Dates & times TBD. Monthly Fellows Meetings: Second Wednesday of each month, 6:00 – 8:00 p.m.
Current Studio Fellows Pictured Above (from left to right): Jazmin Dua, Grace Makuch, Yewon Kwon, and Jessica Caldwell. The Spudnik Press Exhibitions Committee is member-driven and provides a platform for our members to take the lead in the curatorial process for Spudnik Press Exhibitions. In its third year, the Exhibitions Committee is constantly evolving and comprised by members who are committed to advancing exhibitions at Spudnik Press Cooperative. It acts as a steering committee for all exhibition-related opportunities, assists with execution of all components of the Exhibitions Program and, to the extent of its ability, acts as an advocate for exhibitions within and beyond Spudnik Press. The Exhibitions Committee is responsible for reviewing all exhibition proposals, selecting which proposals will be offered as part of the annual Exhibition Calendar, and contributes to the development of additional programs offered in conjunction with each show, such as artist talks, workshops, and opportunities for Spudnik members. Each year the Committee coordinates the Annual Member Exhibition, bringing energy and innovation to this group exhibition opportunity. In addition, the Committee also has the opportunity to develop an additional exhibition of their choosing. This exhibition can take the form of a portfolio exchange, an invitational exhibition, a juried thematic exhibition, or the Committee can opt to bring in a traveling show. Furthermore, the Exhibitions Committee is fully backed by Spudnik Press staff who lead meetings, manage all exhibitions, oversee budgets, and assist with other areas of the exhibition development process as needed. Committee members are asked to help out with various stages of each exhibition, including installation, photography, and exhibition related events. By joining the Spudnik Press Exhibitions Committee, members are committing to a one-year position with the option to renew each calendar year. Must maintain a current membership at Spudnik Press Cooperative throughout 2017/2018. Must commit for 6-8 hours in the production of exhibition programs. Members can select volunteer activities that best suit their skills, interests and availability. Email marcela@spudnikpress.org with the subject line “Exhibitions Committee” by October 10, 2017. Posted August 14, 2017 by Angee & filed under News. Spudnik Press Cooperative is excited to introduce the three recipients of the 2017 Residency. This fall, we welcome Jonathan Herrera, Amber Huff, and Yasaman Moussavi to each create new bodies of print-based artwork using the tools, equipment and resources available within the Spudnik Press studios. The Residency Program provides these three artists with not only studio facilities, but critiques with arts professionals and a 2018 solo exhibition. While each artist will be pursuing their own unique personal practice, the three artists all plan to develop mixed installations that incorporate printmaking as a critical component of their project. In anticipation of their residency, our incoming resident artists will present their work to our members at the Annual Member Meeting on August 16, 2017. Yasaman Moussavi is a visual artist whose work reflects the spiritual attachment to places and the emotional tension between today’s precarious living and the Persian’s poetic tradition of “living in harmony with nature.” Moussavi was born in Tehran, Iran and she received her Bachelor of Fine Arts degree in painting from the Al-Zahra University of Tehran. Posted August 9, 2017 by Angee & filed under Member Interviews. Sula Medovoy is a recent graduate of Ohio University with BFA’S in Graphic Design and Print Making. She currently is working as a graphic designer. I’m Sula. 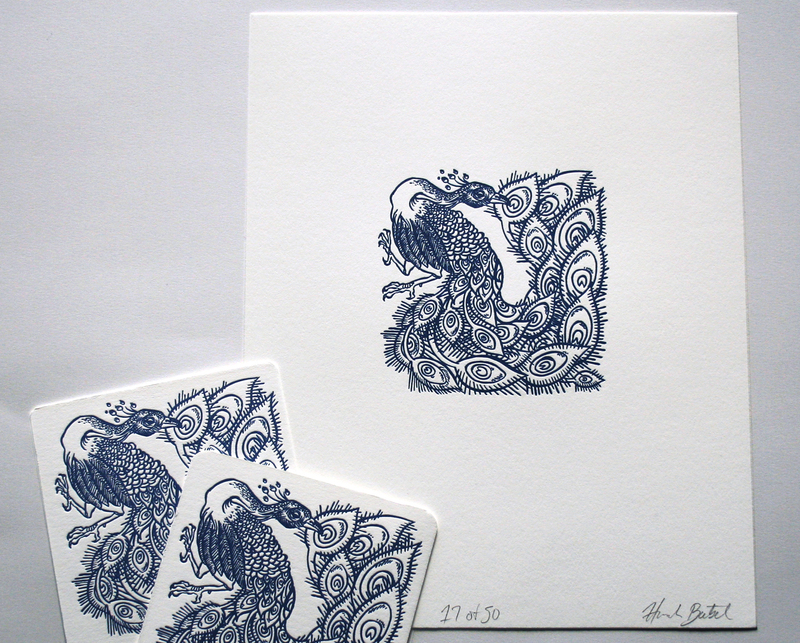 I am a printmaker and graphic designer from Cleveland, Ohio. I’ve been in Chicago for one year, and am currently working as a graphic designer with a focus on packaging and branding. When did you know you wanted to pursue a career of art making? I spent most of my life categorically against a career in art. My mother is a painter and my older sister is a graphic designer, so I wanted to defy that path and do something else. I was always an avid doodler, but avoided getting into any serious art-making until right before I had to apply to college. I realized then any other field would make me want to jump off a bridge after five years. What is your favorite printing process and how were you introduced to it? Screenprinting, by far. I saw it for the first time at university. I was primarily studying graphic design, and I didn’t know anything at all about printmaking. I ended up in the screen shop one evening, saw someone pull a print, and thought it looked like actual witchcraft. I decided I also wanted to be a witch. It seems as though some of your art has some visual similarities to Western European post soviet illustrations. Has this influenced you at all? Hugely. My parents are immigrants from the Soviet Union, so I grew up surrounded by Russian animations, children’s books, posters, etc. There’s a very specific but subtle visual humor in Western European art and media that I try to infuse into most of my work. Your portfolio is very well rounded in the way it included fine art as well as more design oriented art. Do you prefer fine art or design oriented commissions? Why? I’m drawn to design because I like visual problem solving. Even my “fine art” pieces are usually informed by some form of graphic challenge. I like what I can do with limitations. 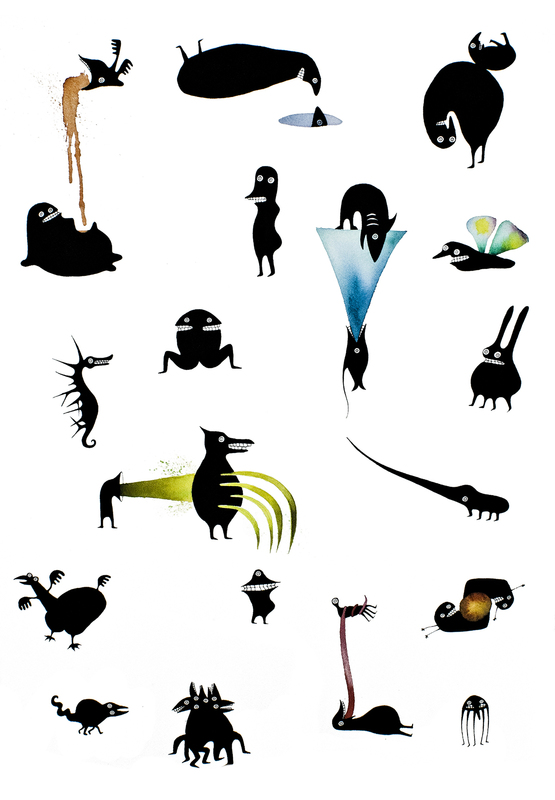 You illustrate many goofy little characters, in your mind do all these characters live on the same planet in your mind or are they in separate entities? All of my creatures exist in separate but comparable universes. Their paths will never cross. Has the art community in Chicago had any affect on your success and the way you create art? Living in Chicago has been a huge shift in my creative process. I studied art and design in Athens, Ohio, so I learned to eliminate trends and outside influences when thinking about art because it’s a more isolated area. Going from that to working in a big hip city gave me the best of both worlds, where now I can see how design functions in the world and think about my work in that context. Are there any places in Chicago you find yourself going to when you are in need of inspiration? I’m often drawn to the lake at night when I need to have a good thinking session. I enjoy a complete mental vacuum for coming up with ideas. Day to day, I look at branding and restaurant design around the city. I’ve also been talking to printmakers at various art festivals, seeing what their work set-up is like. I’m trying to build my own studio in a few years so I can lock down a hermit lifestyle. What fun things do you find yourself getting into when you are not creating art? I like biking around the city, and I’m also a bit of a pianist. If you could have dinner with three artist who would they be? I’ll try to choose artists that I’d imagine would be compatible with each other, so the conversation at the table isn’t awkward. Parra illustrates a bunch of voluptuous naked bird people. His work is sharp-witted, clean, and he is really good at contorting bodies. Olga Capdevila’s work is very cozy and hilarious. Her style is colorful and nostalgic. Yoon Miwon makes deliciously clever hand-painted loop animations. Who would you want to collaborate with after dinner? Olga. She’s the sort of artist that isn’t so concerned with perfectionism, and is more interested in trying as many techniques as she can. I think it’d be neat to do a mural or a series of animations with her. Are there any exciting projects you are working on now that we can expect to see in the near future? And if so where can we check them out? I’m working on a huge lobster print right now. That should be ready in a little bit. I’ve also been developing my animation skills. Everything will eventually make its way to my website, sula.medovoy.com. 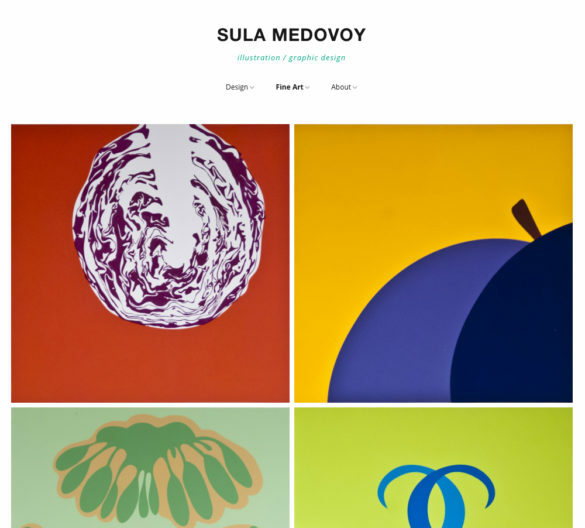 If you want to see more about Sula and her art. Visit her instagram, @sulaissula, or website , http://sula.medovoy.com/site/ . Take our Survey. Share your Opinion. Maybe Even Win a Gift Card! Posted August 1, 2017 by Angee & filed under News. How satisfied are you with your membership? What first brought you to Spudnik Press? What advice do you have for us? What programs would you like to see us invest in? How satisfied are you with the quality of our equipment? We want your opinion! Help our studio thrive and evolve to best meet the needs of our community. New to Spudnik? That’s great! Welcome! We want your opinion too! As a thank you, we are giving away four $25 Visa Gift Cards. Simple leave your email at the end of the survey, and we’ll announce winners after the survey closes on 8/25/17. Posted July 24, 2017 by Angee & filed under Calls for Artists. Three times each year, we accept proposals from both new-to-Spudnik and veteran Teaching Artists to lead “Special Topics” classes and workshops. These often one-off opportunities allow us to host guest teaching artists, teach intermediate or advanced skills, present atypical or unique workshop topics, and occasionally even align learning opportunities to other programs like our exhibitions. Proposals for Winter 2018 Special Topics Classes are due Sunday, September 24 at midnight. For all the details please download our 2018 Spudnik Call for Class Proposals. To apply, download and return our 2018 Class Proposal Form or 2018 Workshop Proposal Form along with a Supply Request Form.